In conjunction with the play, Ntare developed an HIV/AIDS advocacy program, which he launched in Uganda in March of 2003. The program, entitled See the tree in the seed: theater training for HIV/AIDS advocacy, was funded by USAID and the CDC’s AIDS Integrated Model District Program (AIM). * Act as a core base of trainers to ensure continuity of theater-based HIV/AIDS advocacy. * All workshop participants were given the opportunity to explore their personal experience with HIV/AIDS using theatre as the mode for discourse. 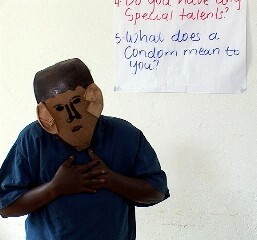 * Eleven plays were developed incorporating messages of prevention and care. 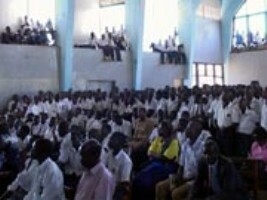 Four performances were held at; Wiggins Mixed Secondary School in Kumi, Teso Boys College in Soroti, Kyeizooba Girls School in Bushenyi and Mityana Mixed Senior Secondary School in Mityana. One performance was held at the residence of the Ambassador to the United States of America. * A nine-day intensive workshop was held to develop a core group of trainers. Participants received first-hand experience in developing interactive pieces and were given the opportunity to instruct the class using the training films or manual. * At the beginning of July 2004 Ntare conducted a series of theatre based HIV/AIDS advocacy workshops in Ethiopia with the African Services Committee and The Forum on Street Children. Participants, both young and old were taught new skills, which enabled them to reinterpret traditional music and folklore to convey messages of HIV/AIDS prevention and care. 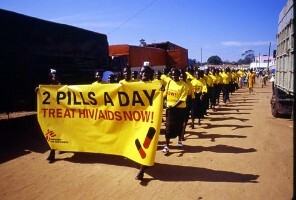 * At the end of July 2004 Ntare was invited by Doctors Without Borders/Medicins sans Frontiers to develop a series of performance pieces to commemorate the second anniversary of the introduction of antiretroviral (ARV) therapy for people living with HIV/AIDS in the Arua District of northern Uganda. Brigadiere Jim Muhwezi, Minister of Health, and Mr. Stephen Lewis, the United Nations Special Envoy to HIV/AIDS in Africa were the honored guests at this event. * In September 2004 the United States Embassy to South Africa invited Ntare to conduct a series of theatre based HIV/AIDS advocacy workshops in Johannesburg, Durban and Mafikeng.